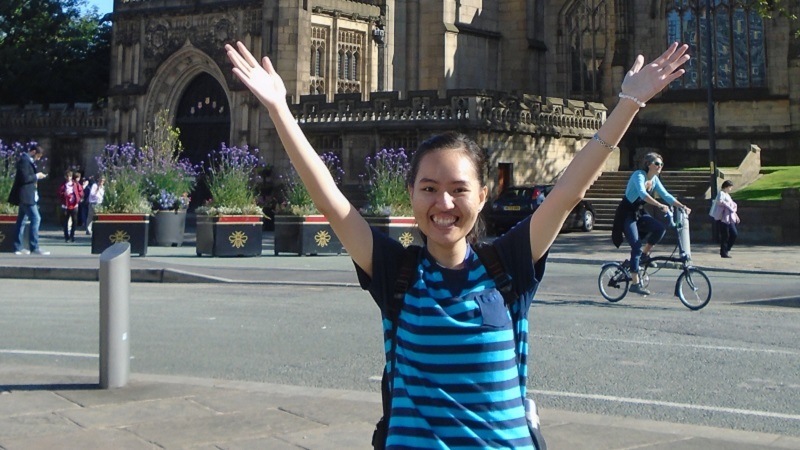 Hello Anh, why did you choose the University of Salford? There are a number of reasons why I chose the University of Salford. First of all, there are many start dates. I decided to start my programme in March so that I could enjoy the lunar New Year with my family – one of the most important holiday times in Vietnam. Also, the University is located in Manchester, which is one of the biggest cities in the United Kingdom. What’s been the highlight of your time here? 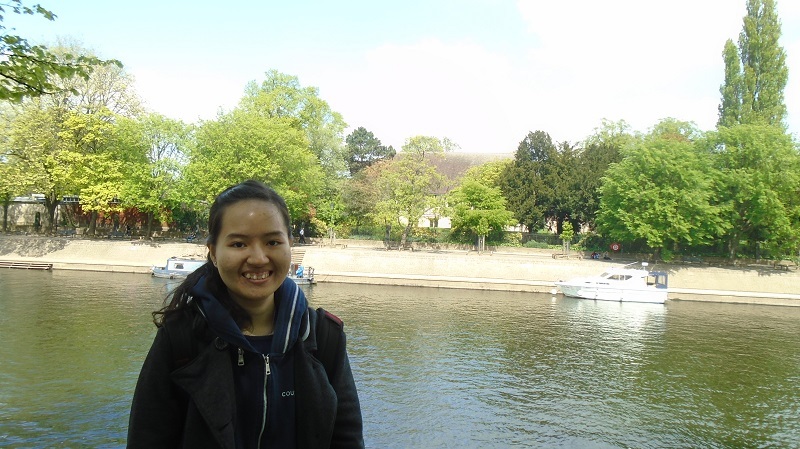 As an international student, I had the opportunity to work as a Student Host, a paid position which allowed me to improve my English at the same time. My main responsibilities are to welcome students, lead tours and provide support, helping them to find all the information they need. I have met and made friends with many students. This is a practical and hands-on course. Besides the theories and concepts, the course also provides marketing knowledge and skills. For example, on the Search and Social Media Marketing module, I had an opportunity to run a real-life campaign, during which I met experts in marketing who shared their experience with me. What’s your favourite module on the course? I liked the Search and Social Media Marketing module. I had an opportunity to study at the MediaCityUK campus, which is the home of many famous companies such as the BBC and ITV. I really like studying at MediaCityUK because of the modern facilities and equipment. Also, this module requires students to run a real-life campaign. During the campaign, I learnt how to optimise sites for search engines, as well as how to apply some analysis tools, such as Google Analytics, Facebook Insights, and YouTube analytics, so that I can experience and know how a campaign is run. Where are your coursemates from? Manchester attracts many people from different countries to visit and study, such as China, Nigeria, Germany, Sri Lanka, India and Italy. Therefore, I got to know more about the cultures and traditions of many countries. Understanding different cultures in doing business is essential because culture influences customer lifestyle, habits, behaviour and purchasing decisions. How do you think your course will benefit your future career? The programme will be very useful for my future career – Vietnam is developing and integrating with many international organisations, such as the World Trade Organisation (WTO) and the ASEAN Economic Community (AEC). Therefore, the ability to understand and apply international marketing strategies may be necessary when doing business. Furthermore, in order to assist me to become a good marketer, the course also provides knowledge about consumer behaviour as well as the applicability of social media in marketing. How do you like living here? What are your favourite parts of the city? I really like living in Manchester, it’s one of the more modern cities in the United Kingdom; there are many tall and modern buildings, such as the Hilton tower and Urbis building. However, it still maintains traditional architectural styles, such as Manchester Town Hall and the Cathedral. I often visit museums in Salford and Manchester – my favourite is the People’s History Museum. I love the way the museum is organised and arranged with artefacts and tableaux. It’s creative and easy to understand. Would you recommend the University of Salford to other students? I would recommend the University of Salford to other students. The University is near both Manchester and MediaCityUK, so, there are many job opportunities for students during term time as well as after graduating. Moreover, the University of Salford also supports both current students and alumni in reviewing their CV as well as giving valuable advice.